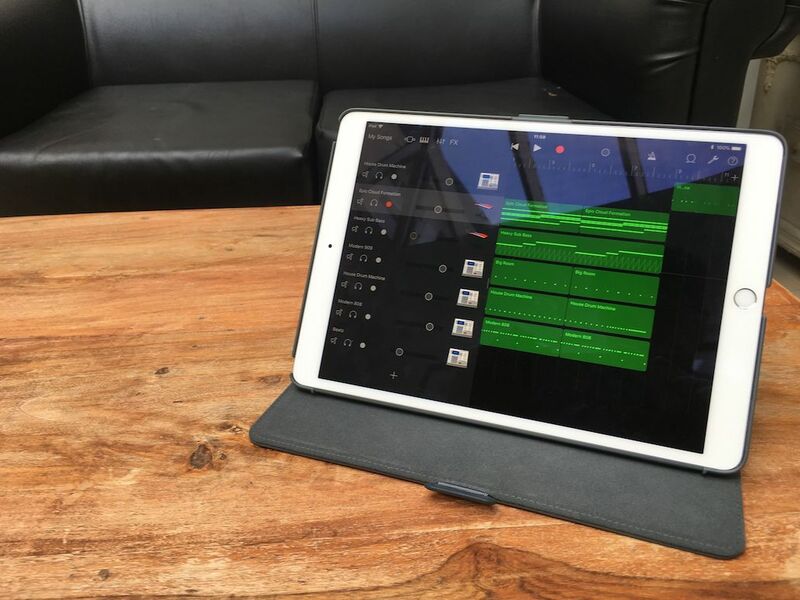 It’s not hard to see the appeal of making music on your iPhone or iPad, being able to carry your studio in your pocket and record whenever inspiration strikes is a dream come true for busy musicians. But if you’re new to iOS music making it can be difficult to know where to start with building your very own mobile music studio. So, without further ado, here’s our checklist of essential bits of kit you’ll need to to start making music on the move as well as some of the best music making apps. Your first consideration (if you don’t already own one) is to decide what device is best for your needs: iPad or iPhone? The real trade off here is portability over a larger screen. While using an iPhone has the advantage of being super portable – perfect for making tunes while waiting for the bus – you might find that the size of the screen is somewhat restrictive, especially on smaller iPhone models. Also it’s worth keeping in mind that not all iOS music apps are universal (Cubasis for example), so if you’re going to be primarily using your iPhone you’ll find that you don’t have access to some of the apps that you would on an iPad. With portability being the major appeal of iOS, you’ll probably be spending most of your time working on headphones, but not any old cans will do, bad headphones will lead to a bad mix, whatever your level of skill. When minimising bleed is your main priority, closed back headphones such as Audio Technica ATH-M50x or Sony MDR-7506 will do the trick. However, if straight up sound quality is your main concern then opting for an open back model such as the Sennheiser HD 600 is your best bet. 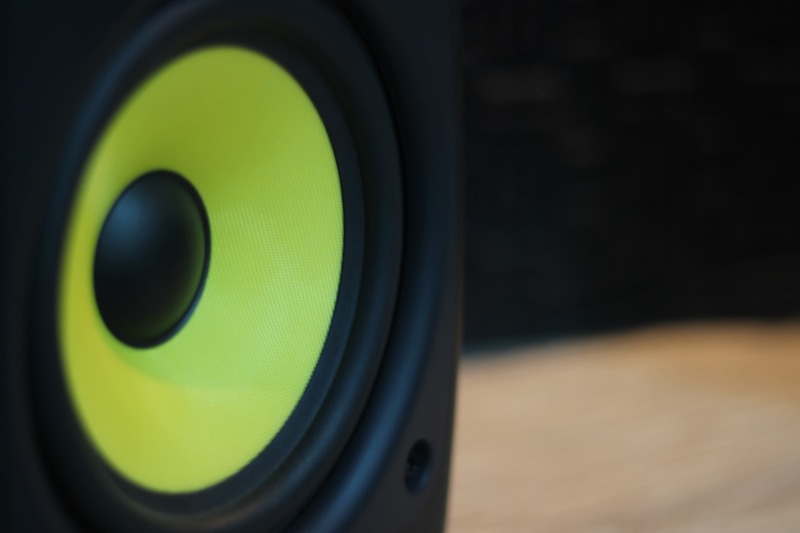 Some producers argue that headphones don’t quite cut it when compared to using studio monitors for mixing. While large studio monitors may seem at odds with the compact philosophy of iOS, there are plenty of more portable options available. For example, IK Multimedia’s iLoud Monitors offer a compact alternative for maximum portability with the added advantage of bluetooth connectivity, doing away with the need for unnecessary cables. For a higher end alternative, Genelec 8010s offer a similar level of portability, although these don’t feature bluetooth like the iLoud Monitors. If you’re intending to use record hardware instruments or vocals on your iOS device then you’ll need an audio interface. The majority of audio interfaces that work with desktop are also compatible with iOS, but if portability is a priority then consider something that doesn’t require powering. For guitarists and bassists the IK Multimedia’s iRig is great choice. However for something a bit more versatile IK Multimedia also offer the iRig Pro which features XLR inputs and phantom power, meaning you can record with condenser mics. Many iOS apps feature a touch screen keyboard, but spend any length of time trying to record this way and you’ll soon realise that a touchscreen is no replacement for physical keys. Low cost, compact MIDI keyboards like the AKAI LPK25, are perfect for minimalistic mobile set ups if (there’s even a wireless version for extra portability). If you’re looking for something with a few more controls, such as mappable knobs or sliders, then an Arturia Minilab will tick all of the boxes. At the centre of every producer’s setup is their DAW, and iOS is no different, so it’s essential to decide which one suits your workflow best. There are plenty to choose from with Cubasis, Auria Pro and Garageband all offering a layout similar to the majority of desktop DAWs. If you’re on a tight budget then Garageband is a great first port of call, available to download for free. It’s also worth noting that if you’re a Logic Pro X user then you have the ability to export tracks straight out of Garageband and into Logic for polishing. If you’re moving over from desktop then you’ll find apps like Cubasis, Auria Pro and Garageband will be fairly familiar as they are all adaptations of the classic arrange window layout that the vast majority of desktop DAWs follow. Although it doesn’t really fit into either of these categories and isn’t strictly a DAW, plenty of mobile musicians use AUM as a way of bringing together their iOS apps. The app is essentially a software mixer, perfect for combining apps and hardware for live performance is this is a route you’re considering going down. On the other hand, if you’re looking to break away from the classic layout then apps like BeatMaker 3 or BeatHawk will be right up your street. These apps totally rethink the standard DAW layout to make it more intuitive for iOS devices, using multiple windows to keep the screen from becoming cluttered and making the most of the touchscreen by using MPC style drum pads for easy beat making. The workflow for these apps may seem a little unusual at first if you’re used to using the more standard DAW layout, but can be a breath of fresh air if you’re trying to break out of rut. Once you’ve got your DAW set up, you’ll want to explore possibilities outside of your apps stock instruments. 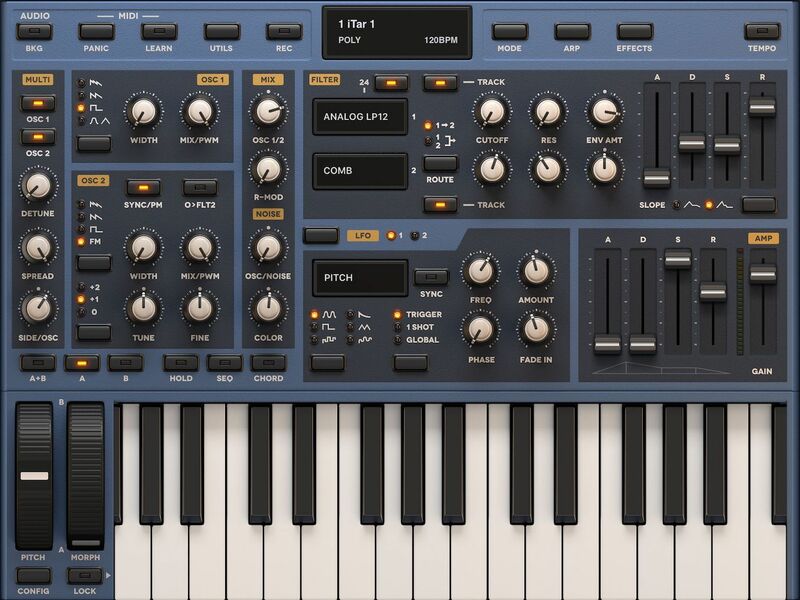 iOS boasts a fantastic range of synth apps, with Moog creating software emulations of the classic Model 15 and Model D. Aside from the familiar music tech names, there’s a whole host of great instruments from smaller developers such as Beepstreet’s Sunrizer and Yonac Software’s Magellan. 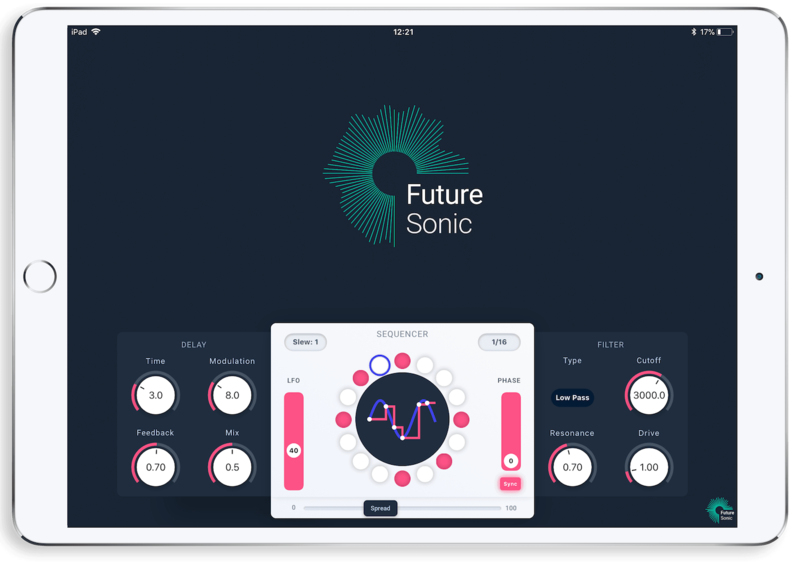 The current trend for iOS music apps is gradually moving away from Audiobus and Inter-App Audio compatibility towards AUv3, where users can open their effect and instrument apps directly within the host app. However plenty of great apps are yet to use AUv3 so you’ll likely find that AudioBus 3 is still a worthwhile investment. Unlike desktop, there’s no easy way to organise your audio files on iOS, so if you’re planning to work with a lot of samples or audio files then Audioshare is an absolute must. The app provides a simple way to organise your files and perform basic editing. AudioShare is also essential for any AUM user, as any recordings you make within AUM are automatically sent to AudioShare where you can quickly edit them. So there you have it! everything you could possibly need to build your very own iOS studio.